The Deli at our Little Budworth site offers homemade pies & quiches, fresh pasta, home cooked meats, homemade coleslaw & potato salad, freshly baked bread, pate, olives, cheese, oils, vinegars and many other tasty treats. Select how much pate, slices of cooked meat or weight of gala pie that you require and our Deli team will slice & pack it for you. Our Deli team’s knowledge of products is growing with the extensive range. 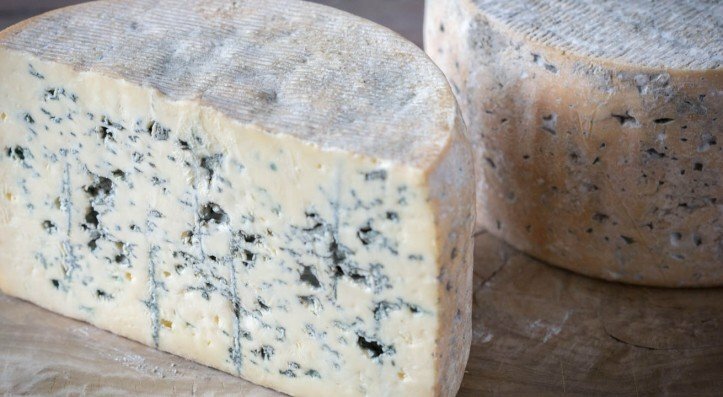 There are now over 75 varieties of cheese in our fridge; Burt’s Blue, Red Fox Cheddar , White Cheshire, Nantwich Blue, Wensleydale with cranberries, and Cheddar with balsamic onions to name just a few! We can also produce cakes made of cheese if you are looking for a cake with a difference. Why not order a bespoke celebration cheese cake with our Delicatessen team made with all your favourite types of cheese? Read more. The production kitchen uses the finest quality ingredients from the Farm Shop and Butchery to create a diverse variety of different foods, all just a short walk from our forest log cabins. Products include quiches, pies, pizzas, bruschetta, soups, garlic mushrooms, roasted garlic potatoes, red cabbage, buttery carrot & swede, coronation chicken, creamy coleslaw, pasta salad and even homemade delicious smoked salmon fishcakes. This is just a small variety of the products the Deli produce at The Hollies. Baking and preparing on a daily basis ensures that you get the freshest, tastiest products. Why not try one of our popular sausage rolls; traditional, Bramley apple and black pudding, BBQ hickory smoked or sweet chilli and mixed pepper. Local homemade Stanway’s pork pies are delivered daily with the choice of a plain, cranberry, apple or caramelised onion filling. The Deli produces and packs a delicious deli range for our Lower Stretton Farm Shop. Are you catering for an event? Our Deli in Cheshire can create platters for special occasions, which can include any of our Deli products. Pork pies, sausage rolls, meats, sandwiches, salamis, pate and cheeses. This can be arranged by speaking to a member of the Deli in store. Our team is committed to providing a selection of the very finest foods and accompaniments at our delicatessen – Cheshire has so much to offer in terms of artisan foods and we are confident that you will come to us time again and again for all your pies, pastries, cheeses and more. Please note to avoid disappointment, times may vary from time to time, please call to confirm closing time. Our delicatessen Cheshire is dedicated to bringing you the finest in local and seasonal produce, and we often have new and exciting specials and recipes for you to enjoy.